This post contains affiliate links. If you make a purchase using my links, I do earn a small commission. Thanks in advance if you decide to use my links! 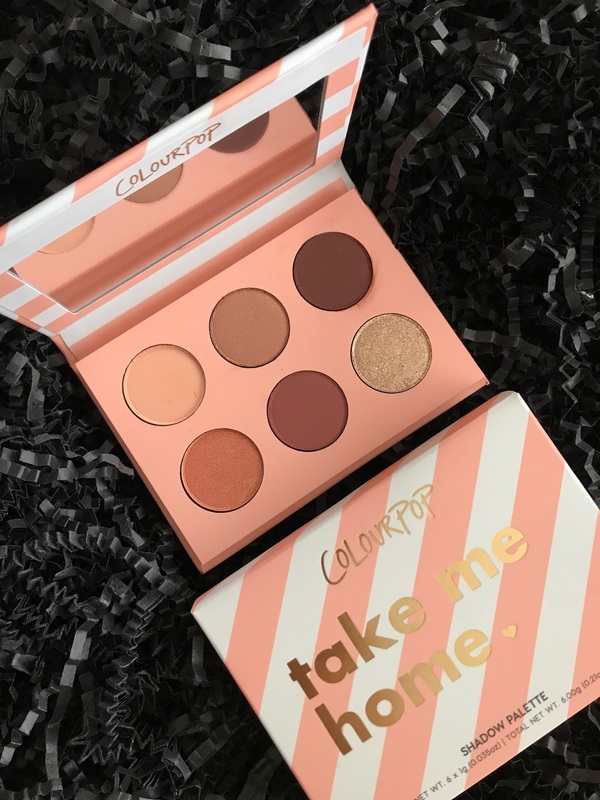 The ColourPop Take Me Home Palette was the Sephora & ColourPop offering for $12 and even though the price seemed okay, the color range didn't exactly make me fall in love with it, so I skipped it. But last week I was able to grab it using the Dote shopping app for only $7.96. At that low price I thought it would be worth getting it just to review, even if the color scheme wasn't exactly amazing. 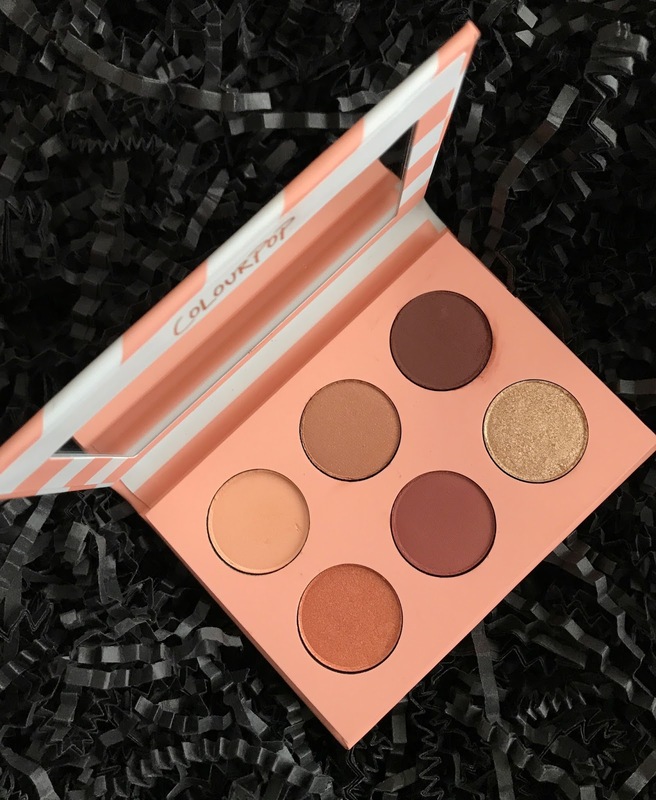 But once I received the palette I did find that the color range is not actually as orange as it looked in the promo photos. There is a really nice matte red brown, a medium chocolate brown and and interesting matte peach. The palette also includes two metallic shades and a matte that has flecks of gold. Overall, this is an everyday friendly neutral palette and for the very low price I paid, I figured that even if I only ever used the mattes I would be getting my money's worth. One of the main complaints that I am seeing on the Sephora site about this palette is the size. It's obviously a mini-palette and very close in size to the Tarte minis. By the reviews, I gather that some people might have thought it was larger but looking at the online photos, the palette is pretty much what I expected. What is nice about this palette is that it does have a mirror, which makes it perfect for on-the-go or travel. I do own two of the Tarte minis and because of the size, they are palettes that I always take with me when I travel. 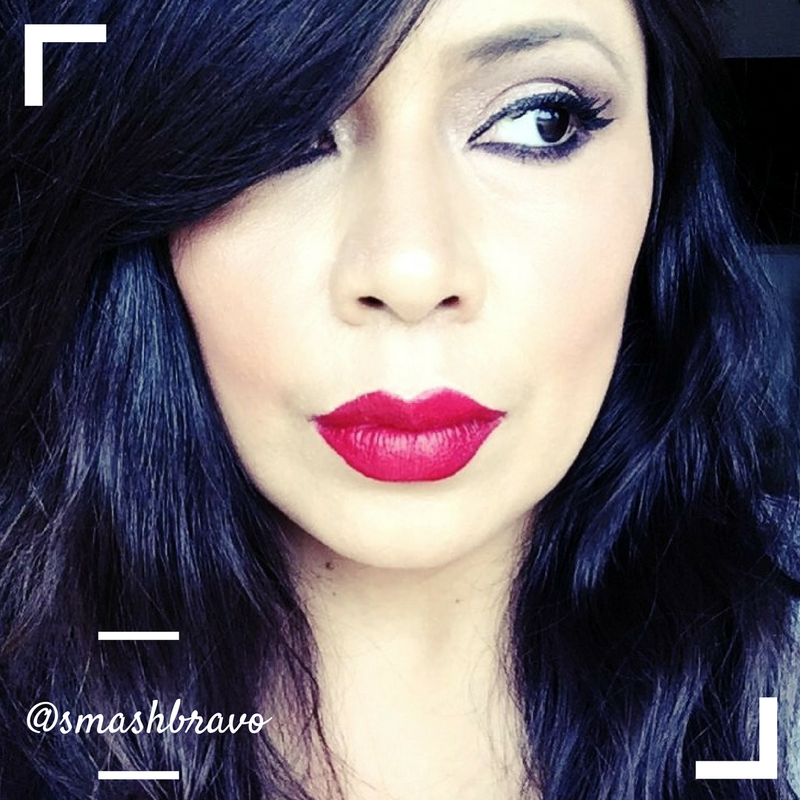 And I can def see myself adding this one to my makeup bag during my next vacation. From the ColourPop website: Your right hand, your go-to. This mini 6 pan palette has you covered for your everyday necessities. Includes the perfect, best-selling warm-toned shades, a mix of matte and metallic finishes, and a mirror, this baby is a keeper. Keep one in your purse for touch ups or keep it displayed on your vanity, it’ll be a staple in your collection. I only have one problem with this palette and it's the shade sidetracked. I am NOT a fan of matte shades with shimmer flakes and am surprised that ColourPop is now adding them to their palettes. This type of shade always loses the shimmer and ends up as a matte so I never get why they bother to apply the flakes. Plus, the shimmer can also lead to glitter fall-out and since the flakes are larger in size, it's not something people usually enjoy. Other than that I like this palette a lot more now than I did upon first seeing it. I have used it a few times and it's performs really well. One day I forgot to apply primer to my lid and even then the shades build nicely, blended well and had major staying power. This palette was actually easier to use and had much better pigmentation for me than the Huda Beauty Warm Brown Obsessions Palette. Pretty crazy right? That was so something I was totally not expecting. 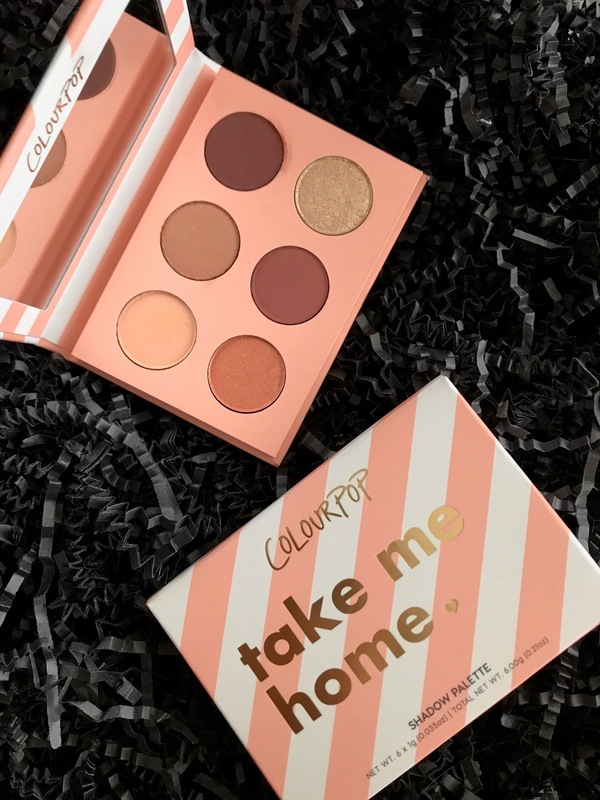 Right now you can get your hands on the ColourPop Take Me Home Palette using the Dote Shopping App for only $5, using my code ZOBG. Or you can purchase it on the ColourPop site directly for $10 or on Sephora for $12. I do recommend this palette if you need a mini everyday go-to palette, especially if you get it on sale.